Once we started using Grand Effects there was no need to look any further. Grand Effects offer so much more than great products, they offer great customer service. As a builder we are only as good as the product we use and there is never a doubt of quality when using Grand Effects. I continue to be a big fan of Grand Effects. Your product has been a signature on our outdoor living projects for the last 8 years. Fire is one the most important key elements to luxurious outdoor living. You guys have been by far the most superior product I’ve used. I look forward to a continued relationship! Our homeowners continued to complement their Grand Effects firepit located ocean front for its ability to not blow out with the ocean breezes/wind. It was beautiful. Your ignition system is great. Kudos to Grand Effects! We love installing your products. One of the biggest trends we are seeing in the industry right now are fire features and the Grand Effects product line allows us to be extremely creative in taking backyards to a new dimension. We as a company are very impressed with the innovative product line which has brought an entire new dimension to backyard creations. We are pleased with the customer service and support we get not only during the sales and installation but just as much after the sale. We love installing Grand Effects Fire Features! Grand Effects Fire Features adds the finishing touch to any pool scape project! Every project we have that incorporates Grand Effects Fire and Water Features stands apart from any other aqua scape. Once we started using Grand Effects there was no need to look any further. Kevin and the guys offer so much more than great products, they offer great customer service. As a builder we are only as good as the product we use and there is never a doubt of quality when using Grand Effects. My name is Courtney Montanaro, a customer of yours. I designed my own pool and Pool Builders Inc built it in 2008. I had chosen your copper fire/water bowls in advance of designing my pool…just knew I wanted them incorporated in to my design. You were most helpful with my order and finding the proper glass to put in the bowls and screens to line them with etc. Everything has been going well and we use and enjoy them often (water feature, almost daily). Thank you! Grand Effects products are Designed To Inspire! Vice President , Zodiac Pools Systems Corp.
Grand Effects is always a pleasure to work with. They are very professional, always adhere to timelines, and are very responsive with their warranty work (although we rarely have any). They make a great product that holds together and looks great!! The Grand Effects team is knowledgeable beyond belief! Every time Hauk Custom Pools places an order from Grand Effects, we get nothing but great service! As a builder, it is so valuable for my clients to receive the best. Grand Effects is undoubtedly has the finest water features available!. The Grand Effects team has exceeded Hauk Custom Pools expectations. The detail level and precision of Grand Effects is mind blowing. If you truly want to create a special backyard, use Grand Effects for your pool project. Their work speaks for itself.  Claffey Pools is proud to be affiliated with Grand Effects. We as a company are very impressed with the innovative product line which has brought an entire new dimension to backyard creations. Fire features, water bowls, torches just to name a few, not only accent our swimming pools but also add a unique dimension to outdoor living. We are pleased with the customer service and support we get not only during the sales and installation but just as much after the sale. One of the biggest trends we are seeing in the industry right now are fire features and the Grand Effects product line allows us to be extremely creative in taking backyards to a new dimension.